Sheldon Souray discovered, almost immediately, what Montreal Canadiens fans had known for years: Saku Koivu was deserving of every ounce of respect he was afforded. He counts the recently retired former Montreal captain as one of his closest friends, a player that immediately took him under his wing when he was traded to the Canadiens, the same person he would skate alongside years later with the Anaheim Ducks. Souray didn’t know Koivu away from the game before the deal that sent the defenceman from New Jersey to Montreal on March 1, 2000. What he was familiar with, however, was just how talented and frustrating an opponent Koivu was. It wasn’t an easy undertaking. The day Souray became a member of the Habs, it was that same pesky player who reached out to him immediately. “’Sak’ was one of the first guys that I met,” recalled Souray. What was his first impression of the Finnish star? Souray made sure he did the same for Koivu. Once, in a heated game against Boston, Montreal’s long-standing rival, Bruins defenceman Sean O’Donnell and Koivu clashed at the end of a period. It was precisely the type of respect Koivu received from teammates and opponents alike over an 18-season career, one that yielded 1,124 regular season games and 832 points. 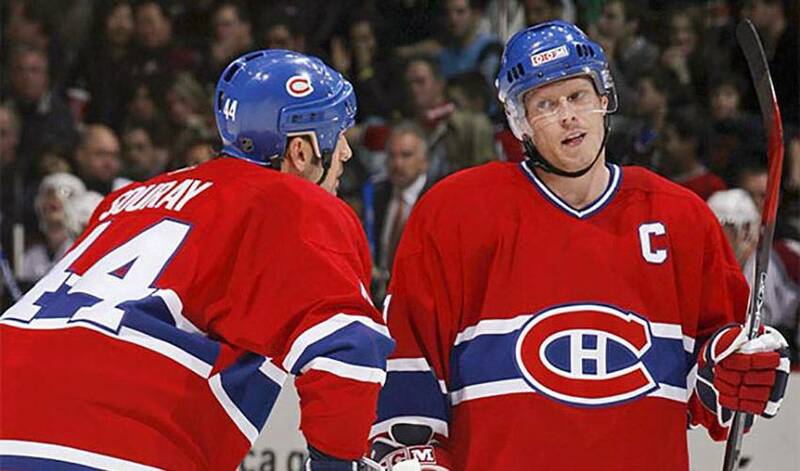 Koivu’s first 13 campaigns were spent with the Canadiens – holding the team captaincy for 10 years, tying him with legend Jean Beliveau for the longest tenure in club history – before he moved on to play his final five seasons in Anaheim. He also waged a high-profile battle with non-Hodgkins intra-abdominal lymphoma, missing the majority of the 2001-02 season, before returning later in the campaign to help the Habs make the playoffs. For those who know him best, the 39-year-old represents everything good about the game of hockey. “I remember noticing Saku right away when I was in training camp,” said Anaheim defenceman Francois Beauchemin, who played just one game for Montreal before he joined the Columbus Blue Jackets in 2004. “Every day, he worked hard. He was the first guy on the ice and the last guy off. He challenged the guys to be better because he cared. It’s a typical compliment when talking Koivu. It’s something that Souray will long be grateful for. Just like Souray, Beauchemin, and a host of others did for one of hockey’s most respected and revered players.